Joel Fein, MD, MPH, is director of Advocacy and Health Policy in the Emergency Department and an advocacy advisor for Government Affairs at Children's Hospital of Philadelphia. Dr. Fein is a professor of Pediatrics and Emergency Medicine at the Perelman School of Medicine at the University of Pennsylvania and the director of Advocacy and Health Policy for the Division of Emergency Medicine. He is the co-director of the CHOP Violence Prevention Initiative (www.chop.edu/violence) which is a multi-tiered, trauma informed approach to violence prevention that addresses bullying, intimate partner violence and peer youth violence. He is also a Co-Director of the National Network of Hospital-based Violence Intervention Programs (www.nnhvip.org). His research focuses on violence prevention, mental health, and procedural pain management. 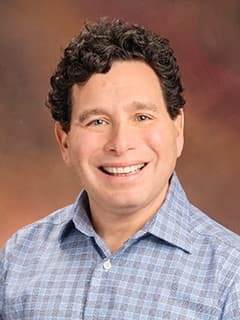 Dr. Fein was one of the principal developers of a fully integrated, computerized behavioral health screening process for adolescents who come to the Emergency Department. He has published several review articles and original research papers on the topic of violence prevention and the evaluation of post-traumatic stress in children. He is the director of outreach for The Center for Pediatric Traumatic Stress, an intervention development center within the National Child Traumatic Stress Network. Dr. Fein is a co-chairs the Philadelphia ACES Task Force, a coalition of regional stakeholders who introduce ACES knowledge into programs, curricula and research. At CHOP he is the medical advisor to the Government Affairs team and the director of Advocacy and Health Policy for the Emergency Department. Purtle J, Rich JA, Fein JA, James T, Corbin TJ. Hospital-Based Violence Prevention: Progress and Opportunities. Ann Intern Med. 2015 Nov 3;163(9):715-7. doi: 10.7326/M15-0586. Epub 2015 Aug 25. No abstract available. Cronholm PF, Forke CM, Wade R, Bair-Merritt MH, Fein JA. Adverse Childhood Experiences: Expanding the concept of adversity. Am J Prev Med. 2015 Sep;49(3):354-61. doi: 10.1016/j.amepre.2015.02.001. Read the abstract. Marsac ML, Kassam-Adams N, Hildenbrand AK, Nicholls E, Winston FK, Leff S, Fein J. Implementing a Trauma-Informed Approach in Pediatric Healthcare Networks. JAMA Pediatr. 2016 Jan 1;170(1):70-7. doi: 10.1001/jamapediatrics.2015.2206. Read the abstract.